The term “New Russians” used to refer to gaudily-dressed, designer-label loving, luxury-car driving, loud-talking Russians who struck it rich after the collapse of the Soviet Union. But now there’s another kind of New Russian touring the US at the moment. Five new Russian writers are on a tour of the East Coast, sponsored in part by the Debut Prize. Another article in The Boston Globe has the writers talking about the very current topic of political opposition in the countdown to Putin’s pre-ordained presidential victory. The other writers participating include Igor Savelyev, who has written a novella about the hitchhiking subculture in the country, Dmitry Biryukov, Irina Bogatyreva and Debut Prize director Olga Slavnikova, herself a highly succesful author and winner of the Russian Booker. Her most recent novel translated into English is the dystopian 2017. I recently referred to an article about the Central European folk surrealism of Hungarian writer Ervin Lázár at Hungarian Literature Online. Now they have posted a full story from the translated but yet to be published collection. “The Woman in Blue” is a story of a chase, betrayal that ends in a collective vanishing. Yes, Central European folk surrealism, and good too. Hey Aleichem, when I say I want a car chase, I want a goddamn car chase! 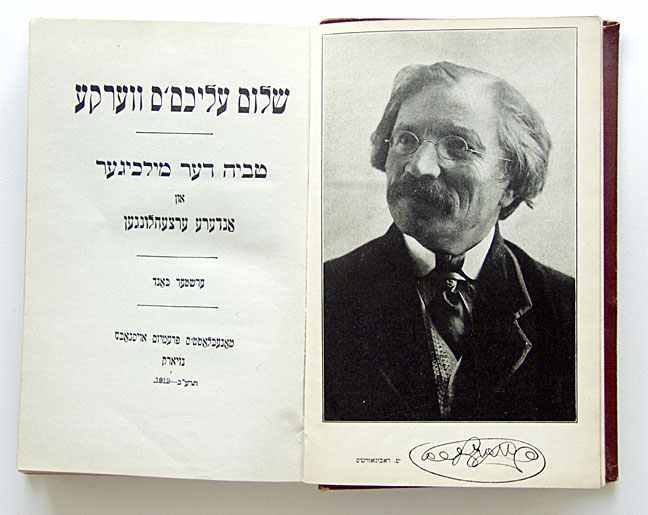 Israel’s Haaretz recently wrote about the short-lived screenwriting career of Yiddish writer Sholom Aleichem. Aleichem wrote a “screenplay” – which seems to be more of a treatment – called Di Velt Geyt Tsurik (The World Is Going Backward). It teels the story of an assimilated Jewish family trying to keep their children from following the religion their grandparents still abide by. In the end the young generation renews their religious roots. Aleichem referred to it as his “cinema fantasy” not to be confused with Central European folk surrealism. In the end the writer’s emigration to the US at the outbreak of World War I put a stop to his cinematic ambitions.